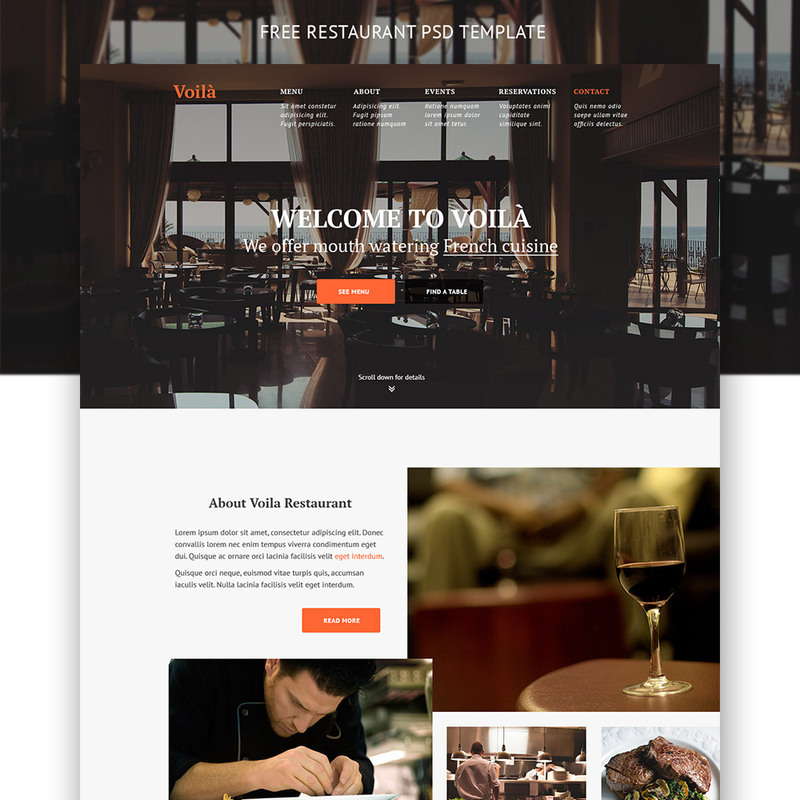 Download Simple Restaurant Website Template Free PSD. This PSD Freebie contains features section such as events, booking reservations, about, gallery and few more. A free psd template perfect for restaurants or food related websites. The design is modern and elegant giving your restaurant website a professional look and feel. The layers are well organised and named properly making it easier to edit and modify as you see fit. Feel free to download this psd if your in need of something similar. Hope you like it. Enjoy!